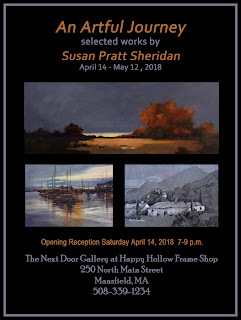 Franklin resident, Sue Pratt Sheridan will be the featured artist in a solo exhibition from April 14 until May 12 at the Next Door Gallery at Happy Hollow Frame Shop, 250 North Main Street in Mansfield. 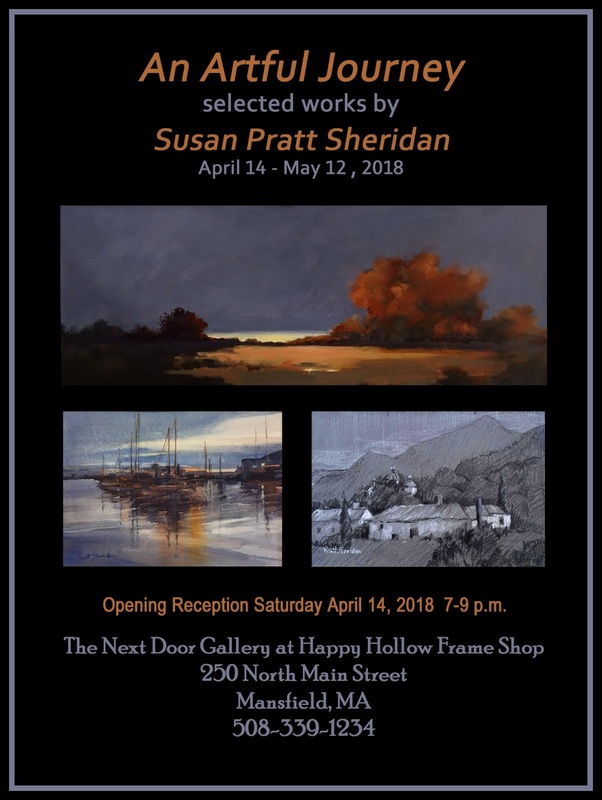 The opening reception, free and open to the public, will take place on Saturday, April 14th, 2018 from 7 - 9 PM. For more information, call 508-339-1234 or visit the gallery’s Facebook page at The Happy Hollow Frame Shop and Next Door Gallery. For over 25 years, Pratt Sheridan has painted in a variety of media; the show will include landscapes, seascapes, city scenes and figures. Much of her work depicts the natural beauty of New England as well as scenes from her paintings excursions in Europe. Pratt Sheridan’s award-winning work has been featured in many local and regional shows and galleries. She holds a Signature Artist designation from the Rhode Island Watercolor Society. In addition to her painting, Pratt Sheridan has been an active member in many area arts organizations. She has also been a strong arts advocate with service on the Franklin Cultural District Steering Committee and the Franklin Cultural Council.